Thank you. I am exhausted to the core of my being, and wish for nothing more than an end of this phase. My pleasure!! You are so welcome and Thank you so much Elenoor…you are a dear! I felt amazing too during and after the channeling with Mother Mary! 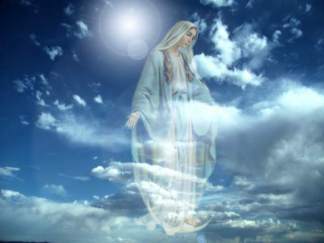 ‘Blasting’ is the accurate word Mother Mary has used when new packs of energies knock your heart. I hope there i s water beneath the hardest stone. Interesting you picked up on that Chetan! Yes, I agree! Gets overwhelming at times, but also very encouraging! Feel there will always be water beneath the hardest stone…We just get what we are ready for. Much Love and Many Blessings,Sri Chetan! Lovely loving Mary. Thank you Fran.